Mike Pickup travels to Tbilisi Georgia to discover a place rich in history with the world’s oldest viniculture and a ridiculous amount of food. “I’m off to Georgia” I told the neighbours, before explaining I meant the country, not the American state of the same name. My destination was the capital, Tbilisi. Whilst there are direct flights from the UK I went via Astana, capital of Kazakhstan. I had visited the previous year so was delighted to renew my acquaintance with the world’s weirdest, and newest, capital city with its geometric grid-shaped road pattern. 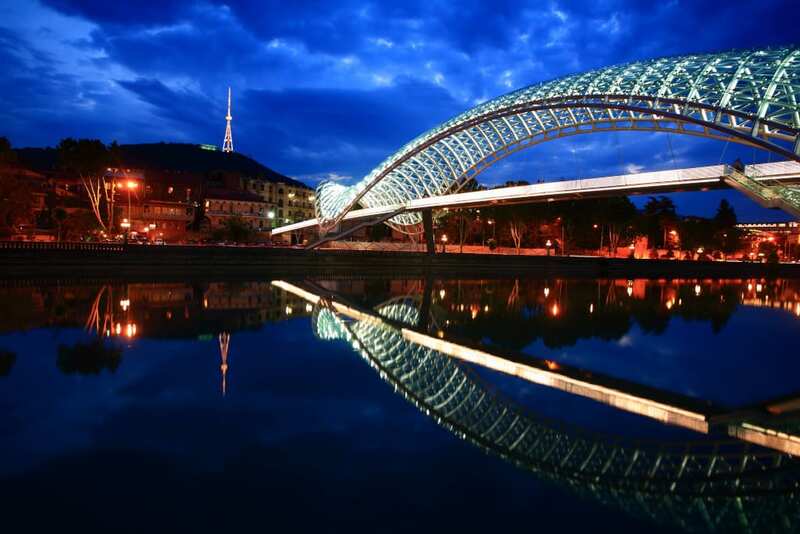 Tbilisi, on the other hand, is so very different – old buildings and roads with bends in them. Tired from travelling I was not really in the mood for much more but I was taken to Tsiskvili. This is not just a restaurant but an entire Georgian experience – a feast with great entertainment. I sat down at a table laden with food, not sure how I was going to cope with such abundance. What I didn’t realise was this was just starters. More food kept arriving, musicians played, dancers twirled and wine flowed – Georgians have been producing wine for over six thousand years making it the world’s oldest viniculture – all in a lovely riverside setting. If you go, skip lunch – perhaps for several days. Next morning, after the lightest of breakfasts – except I’m a sucker for chocolate croissants – I set off for the cave town of Uflistsikhe. Built high on a cliff in Kartli and overlooking the Mtkvari River, Uflistsikhe is one of the earliest settlements in Georgia, dating back some three thousand years. It was a major centre in the pre-Christian era, when the sun-goddess was worshiped. 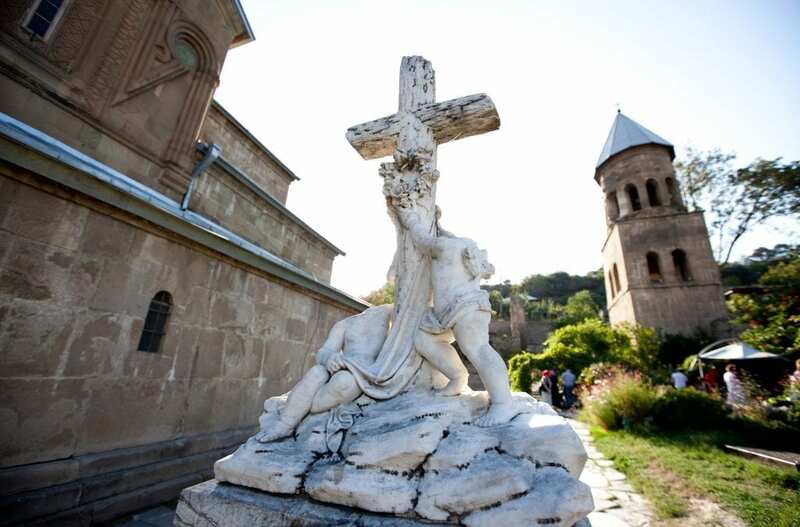 With the arrival of Christianity the focus moved to Mtskheta and Tbilisi, but the town, which at its peak was home to an estimated 20,000 people, survived. 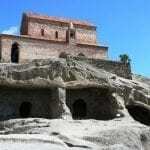 A small Christian basilica from the ninth and tenth centuries sits at the top of the cliff. 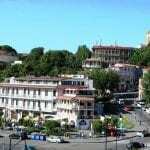 If you enjoyed Mike’s tales of Tbilisi Georgia, then follow him on a Douro River Cruise or on his Macao Holidays. Prior to a lunchtime Georgian feast, this time at Mtskheta, I stopped at Gori, the birthplace of Joseph Stalin, leader of the Soviet Union from 1941 to 1953. Protected by a Grecian-style structure is a small wooden house in which Stalin was born in 1878 and where he lived for the first four years of his life. Also on display is his personal Pullman railway carriage. Armour plated and weighing over eighty tons, it took him to the Yalta Conference, where he met with Roosevelt and Churchill to plan the shape of post-was Europe, in 1945. 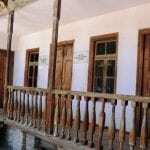 Mtskheta itself is hugely important to the Georgian people and their history. Dating back to the fifth century BC, it was the capital of Georgia for eight hundred years. A small but bustling town, it’s popular with visitors. Shops selling souvenirs, local produce and more line the main street. The town is dominated by the Svetitskoveli cathedral. The original cathedral was built sometime in the fourth century, though the present structure is from some seven hundred years later. Subject to numerous invasions, the cathedral features a defensive wall. Legend has it that Jesus’s robe is buried here. 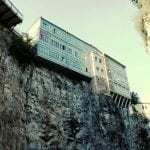 It’s claimed a local man, Elias, was in Jerusalem when Jesus was crucified. He purchased the robe from a soldier and brought it home with him, where he was met by his sister Sidonia. She was so overcome with emotion when touching the robe that she died instantly, and was buried with the robe. 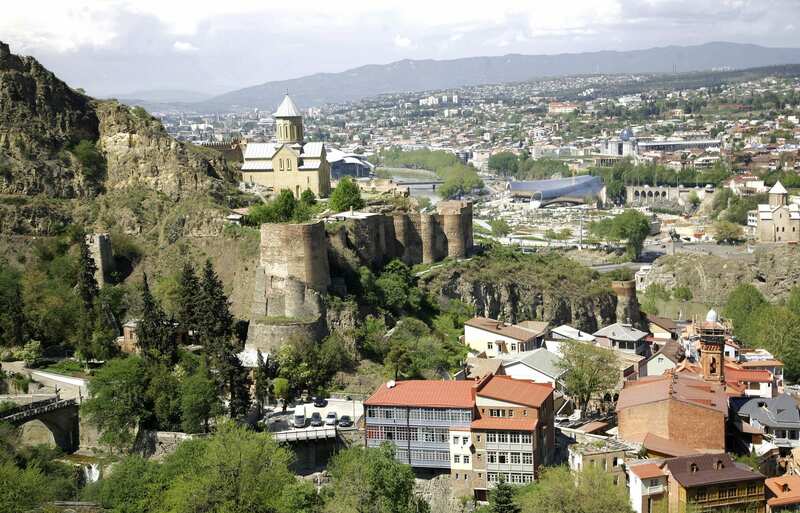 Then it was back to explore Tbilisi, which got its name from the old Georgian word ‘tbili’ meaning ‘warm’; a reference to the hot sulphur springs producing three million litres a day that have led to numerous spa bath houses. Sitting astride the Mtkvari River, the current capital is almost completely surrounded by mountains. Overlooking the river is a rocky outcrop, one of the earliest inhabited areas of the city. King Vakhtang Gorgasali erected a palace and church here in the fifth century. There is a statue of him mounted on a horse next to Metekhi church, erected on the same site and dating back to the 13th century, although it has been restored on a number of occasions. In total contrast the most spectacular of the river crossings is the modern, pedestrian Peace Bridge, covered in a bow-shaped steel and glass structure. It has thousands of small LED lights which illuminate it at night. 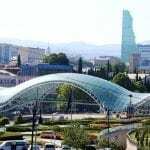 Tbilisi has a famous funicular railway which takes passengers up to Mtatsminda, 700 metres above sea level, where there is a large amusement park and restaurants. That evening I had dinner on a terrace overlooking the city – yet another Georgian feast. It was time to go home; I was beginning to wonder if my clothes would ever fit me again. Mike flew with Air Astana who offer return flights between Heathrow and Astana from £495 and return flights between Astana and Tbilisi from £215. 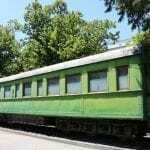 Book through and get a stop-over in Astana with transfers and hotel on a B&B basis is just $1 for the first night. Additional nights at standard rates. Mike stayed in the excellent Mercure Old Town hotel. Outside there was a patio with swinging chair and gardens that were floodlit at night. The hotel was centrally located and the staff extremely helpful. 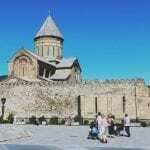 You can book accommodation in Tbilisi or elsewhere in Georgia through our Hotel Booking Portal.